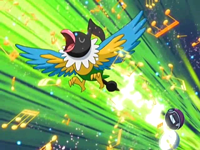 The Wallace Cup is a special Pokémon Contest hosted and judged by Sootopolis City Gym Leader (Ruby and Sapphire) and/or Hoenn Champion (Emerald), the master Coordinator and Champion of Hoenn, Wallace. The Wallace Cup lasts for 3 days, and is hosted at various locations through out the world. 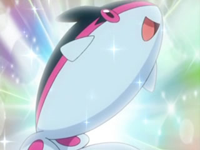 The most recent one was hosted at Lake Valor in Sinnoh, with the prize being the Aqua Ribbon that counts towards any region's Grand Festival, not merely that of the region it is won in. For this reason, Coordinators migrated from all around the nation to compete in it. 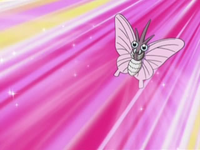 The coordinators may use water type Pokémon, as they have much advantage to the field where the exhibits are competing but not all are of this type, because, for example May used Beautifly, Venusaur, Skitty and Glaceon in the Cup. 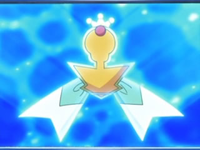 The Aqua Ribbon is used for any contest, and Great Festival worldwide, this is counted as the one contest Ribbon that is universal to all regions. 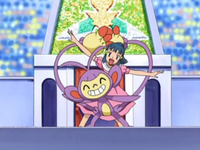 The jury is Nurse Joy, Mr Sukizo, Raoul Contesta, Plubio, and as a presenter and co-presenter, Jessie (disguised as Jessilina). 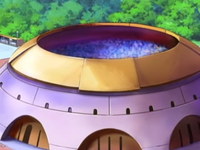 In "Goodbye Junior Cup, Hello Adventure" it was confirmed that the next one was to be held in Ecruteak City in the Johto Region but the only known competitor is Dawn. 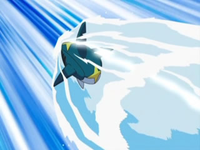 Buizel starts leaving his stamp Poké Ball with this scattered electric green rays hitting them, then it uses aqua jet Zig-zag over the water, then stops inflating its float in the neck and are thus suspended in water, then use sonic boom driven out of the water and end up using water gun and water on the wall in front of judges, creating a glow that falls on them. 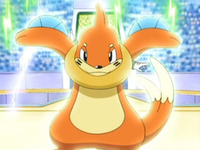 At the end Buizel Ash falls to the side of doing a victory pose. 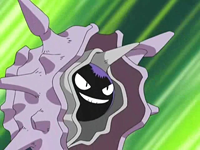 May of Petalburg City (Hoenn) - Runner-up. 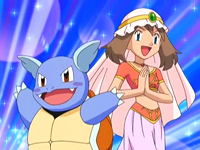 Zoey of Snowpoint City (Sinnoh) - Top 4. 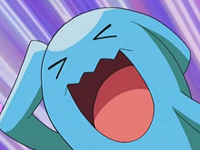 Ash of Pallet Town (Kanto) - Top 8. 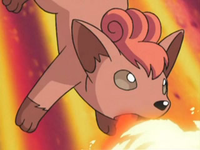 Jessie - Lost in the Appeals Round.